Whether you are looking for a traditional, contemporary or futuristic finish, we have the designs, materials and skills available to offer the perfect solution. 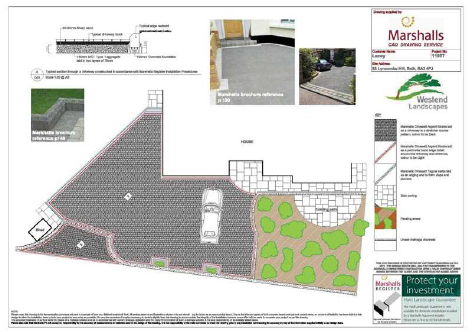 Water management is now a priority to the environment so we have trained in the use of the Marshalls permeable range of paving which allows water into the surface below and back to the natural water table. in various Marshalls catalogues over the years. If you would like anymore information on Driveway services available in Clevedon and surrounding areas, then give us a call on 01275 545055 or 07968 819245 , or contact us via our online enquiry form.